And finally, she too has moved on! 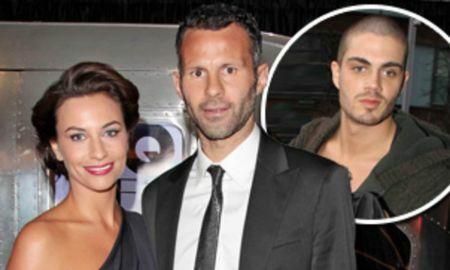 Ryan Giggs's ex-wife, Stacey found love again with Max George, three years after her and Ryan's most controversial divorce. For those of you, who don't know, her new found love, Max George is an English singer who is famous for his work in the famous boyband, The Wanted. After all the drama that Ryan and his wife underwent after his extra-marital affairs. Shockingly, he was involved with his own brother Rhodri's wife, Natasha for many years and also with the model, Imogen Thomas. And the worst of all, Ryan and Natasha were having that absurd affair while being married to their respective partners. But now it looks like, Stacey, after much suffering, finally found the one for her. Ryan Gigg's ex-wife Stacey is dating singer Max George. Max, who is 10-years her junior, is a fun loving man. If reports are to believe, Max has been regularly visiting Stacey at her $4.5 million worth of mansion which she kept after divorcing Ryan. “Stacey has always been a massive fan of The Wanted and hit it off with Max straight away when they were introduced at a local pub in Manchester." The source also added how the couple is acting as in teenage love and many a time Max stays at her place and her two children with ex-husband, Zachary Joseph Giggs, and Liberty Beau Giggs. 'He’s a really friendly, down-to-earth guy and they get on great together. Stacey deserves all the happiness she can get,' the source further claimed. Now talking about the singer's past affair, he was previously dating Coronation Street star, Michelle Keegan. Soon after he left the boy band, the singer has kept his personal life low profile.